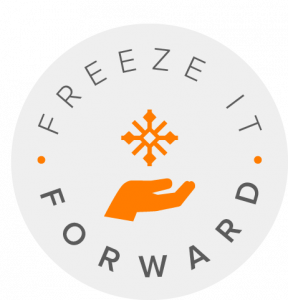 Every year in February, we love to encourage our community to “Freeze it Forward” by making and then gifting deserving family and friends with freezer meals! We know we have been given much, so we want to give back out of our abundance. 2. 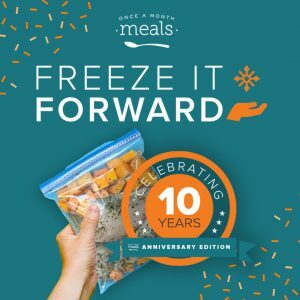 Make Meals to Give Away! 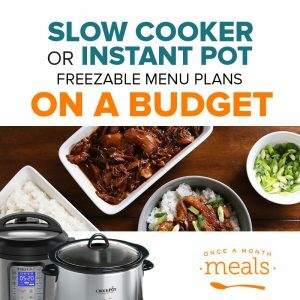 If you plan on bringing or gifting someone freezer meals, cook our Budget Friendly Menu for the Slow Cooker or Instant Pot with us to make it easy! 3. Share Your Story With Us! Join our team members, Tricia and Ricki, as they walk you through our Budget Menu for the Slow Cooker OR Instant Pot! Easy, Freezable, Make Ahead Budget Friendly Recipes with Dump and Go Ingredients!